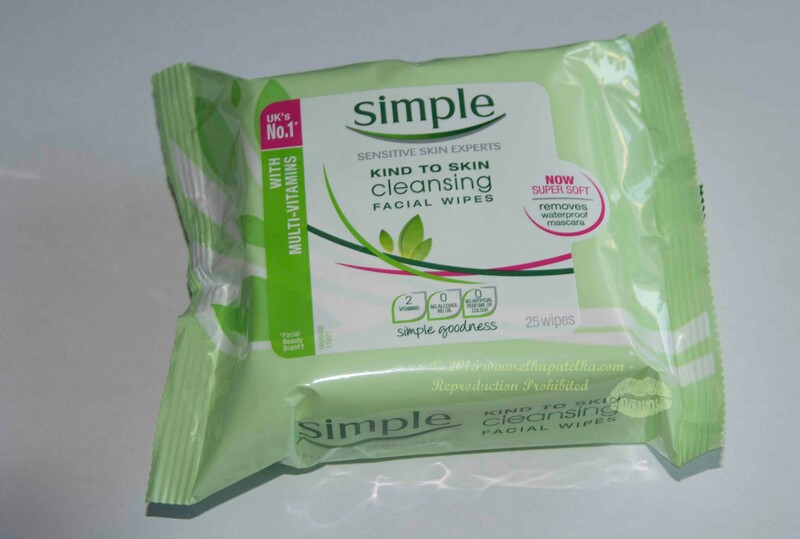 Simple Kind to Skin facial cleansing wipes are good when we have no time for deep face cleansing with face wash gel. They are designed to sensitive skin, have pro-vitamin B5 and the package promise is to cleanse gently without drying skin. It does dry the skin and I would use them only in emergencies, while traveling.